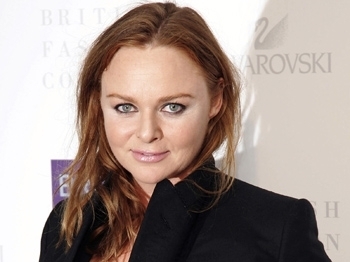 Did you know that Stella McCartney is one of the fashion world’s most conscience-driven designers? The strides she and her firm have taken to lesson their impact on the environment are truly remarkable, and I wanted to highlight her today simply because I find her to be an incredibly inspiring, and talented, person. She was also recently named as the official creative designer for the British Olympic Team. Which means the 2012 Olympic team can expect to have minimalist, eco-friendly uniforms. So, what is Stella McCartney doing that’s so innovative? Well first, she has designed several eco-collections. Her eco-line uses no animal products, and primarily uses organic cotton. Stella also uses recycled fabrics and low-impact dyes. 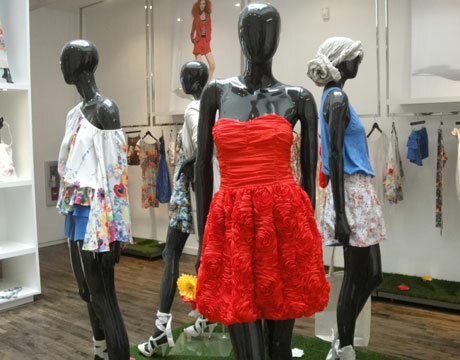 The red cocktail dress you see is made from textile and waste and recycled PET bottles. Amazing. There are several other wonderful pics up at Daily Green so head over there if you want to check out some more examples of McCartney’s H&M collection. Her firm is also certified Carbon Neutral and all her operations use Ecotricity. This means that the money she pays for her power is invested in clean energy projects like wind. Stella McCartney also focuses on the environment when it comes to shipping; her products are shipped out using corn packaging (instead of plastic) which means it will biodegrade within one year. I have to say that I love Stella’s style. I definitely can’t afford pieces from her line directly (spending $700 on a wool sweater is definitely out of my stratosphere) but her line with H&M is extremely affordable. I love what she’s doing and am going to keep my eyes peeled for when she works with H&M again!